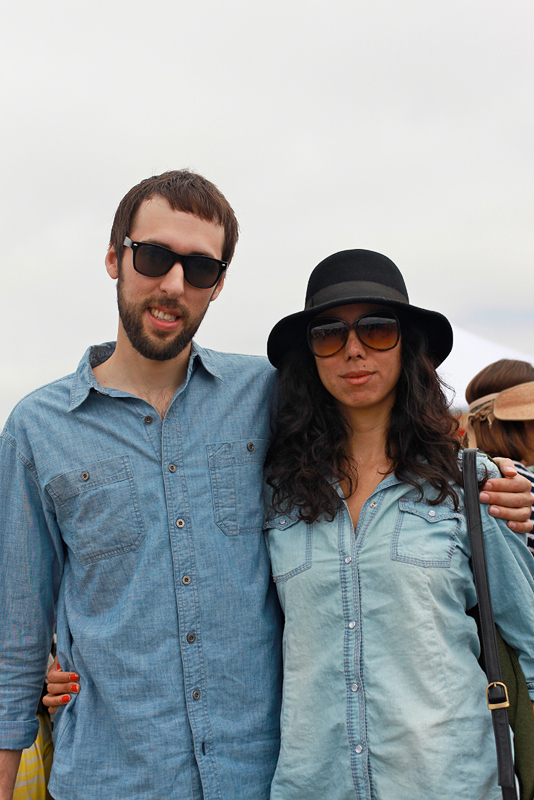 Justin: "For me this reminds me of growing up in Maine [point to jeans] LL Bean and [points to button-up] LL Bean. " Berenicie: "For me it's just comfort. I wanted to be comfortable. I like the light and the dark. " I find double denim charming, so the possibility of four different denim washes in one picture had my head spinning. 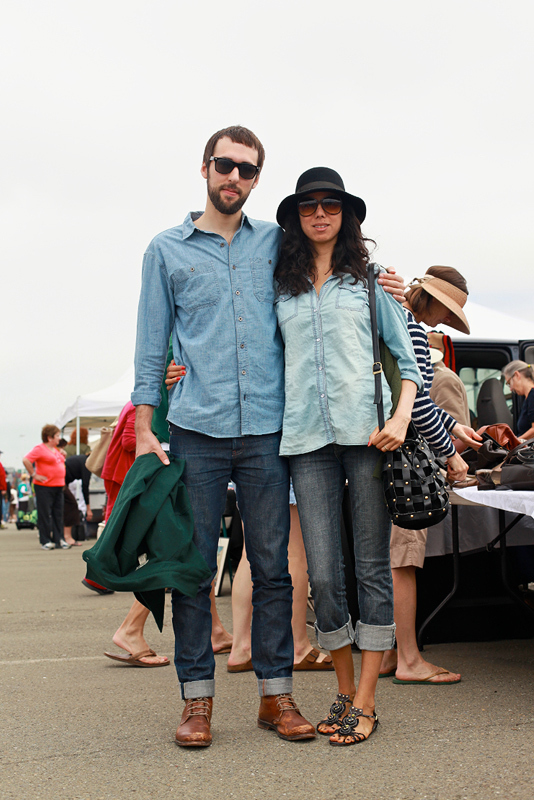 They assured me that they didn't coordinate and coincidentally wore the same outfit to the Flea Market - right down to those rolled cuffs. I like the fact that their shoes definitely have separate feels. 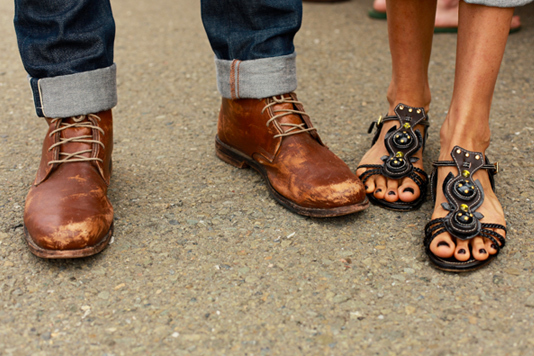 His rugged and well-worn and her delicate sandals to make the outfit a bit more feminine. I love it! It's funny - before I even got to read through to her comments about L.L.Bean - I thought New England! And as a former New Englander got a little bit nostalgic.